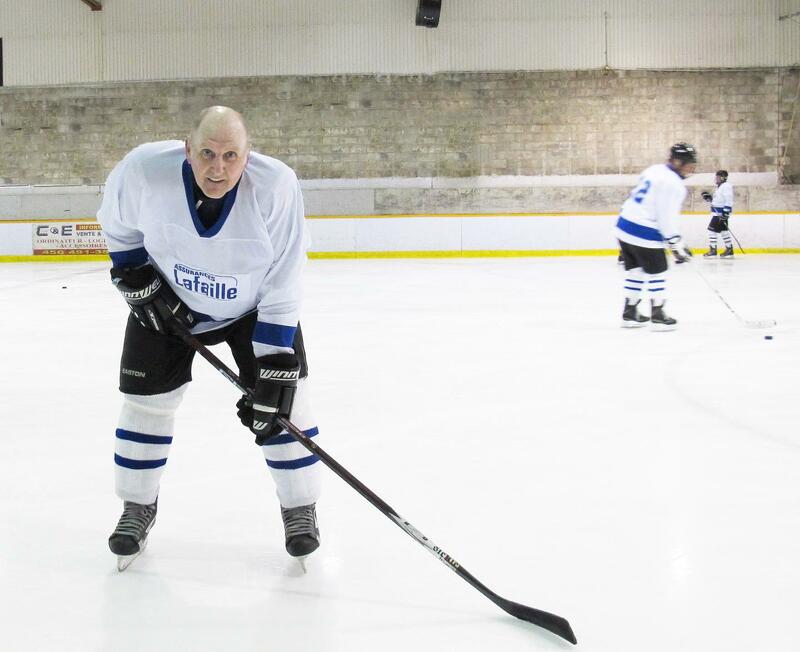 Montreal (Quebec), May 24, 2016 – At age 70, Alfred Roberts plays hockey twice a week. Nothing special, right? Except that for three years he has had advanced prostate cancer, which has spread to his bones. "I've always been active. Hockey keeps me in shape and keeps my mind off things. I've got friends that have played until age 80, and my goal is to beat them!" said the veteran stick handler. "Typical patients with metastases often become sedentary. It is thought that this affects cancer progression," he said. Together with Robert Newton, professor at the Edith Cowan University Exercise Medicine Research Institute in Australia, Dr. Saad is leading the first international study which aims to demonstrate that exercise literally extends the life of patients with metastatic prostate cancer. "Normally, patients at this stage have a life expectancy of two to three years. We want to reduce mortality by at least 22%, which represents about six months of longer survival. This is the equivalent benefit of a new drug. Exercise could therefore supplement available treatments, inexpensively," said Dr. Saad, who is also professor at the University of Montreal's Department of Surgery. "We will study exercise as if it were a drug added to standard treatments. All patients will be treated within the latest scientific knowledge for this type of cancer. They will continue to follow their therapies and take their medications. But half of the patients will receive psychosocial support with general recommendations on physical exercise. The other half will also follow a high intensity exercise program," he explained. The exercise medicine expert Professor Robert Newton has designed a specific strength and cardiovascular training program for patients in the "exercise" group. "They will have an hour of aerobic and resistance training three times a week. An exercise specialist will supervise them for the first 12 months, and then they will continue without direct supervision. We will evaluate quality of life, appetite, and treatment tolerance in relation to their improved physical condition," said Professor Newton, who is co-director of the Edith Cowan University, Exercise Medicine Research Institute. Blood samples and muscle biopsies will help scientists better understand the benefits of exercise. "People with cancer develop all sorts of complications related to metastases, such as fractures or severe pain. It is hoped that exercise will strengthen muscles and bones," said Dr. Saad. The hypothesis is that exercise has a direct impact on cancer progression in addition to helping patients better tolerate therapy. Ultimately, they will live longer. The results of this large study, which involves some one hundred researchers in Canada, the US, Australia, Ireland, the Netherlands, and the UK, will not be known for five years. Could the findings be extended to other types of cancer? It is too early to tell, but researchers are betting that exercise could well become the next anticancer therapy. Alfred Roberts is also convinced that exercise helps defy the odds: "As long as I can skate, I'll play hockey!"